Web hosting is a service that provides space for customers to store their websites which are accessible through the network. Websites are stored on computer servers that are connected to the internet 24X7. Each and every server on the Internet has its own unique Internet Protocol address. These days, web hosting is available in different shapes and sizes depending on what you are looking for – services and applications. Web Hosting is mainly divided into 4 categories: Virtual Private Network Hosting, Shared Hosting, Dedicated Hosting, and Reseller Hosting. Let’s learn about each of them briefly. Virtual Private Network Hosting (VPN), also called as a Virtual Private Server(VPS) or Virtual Dedicated Server (VDS) because it distributes server resources into virtual servers in such a way, that each hosting client uses only the allocated resources. Each virtual server looks and works like a dedicated server. It can also run web applications without affecting other clients. Sometimes, customers are responsible for patching and maintaining the server. Shared Hosting, also called as Virtual Hosting and is considered as the most common type of hosting service used by the consumers. In this, the resources (RAM, CPU time, applications, bandwidth etc. )are shared between different domains. While purchasing Shared Hosting, customer must check all the terms and conditions to ensure if there are any scripts or applications that are not allowed by the host. Since all the resources are shared. It is considered as the cheapest web hosting solution and a very good solution medium size websites or email domains. Dedicated Hosting : Unlike VPN and Shared Hosting where a large number of sites are hosted on a single computer, dedicated web hosting gives you full control over Web server. Also, the client manages the security and maintenance of his/her own server. It is expensive than VPN and Shared Hosting. 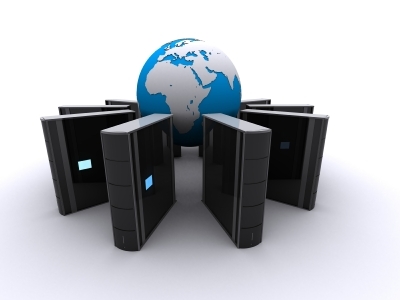 Reseller Hosting : In this, customers become their own web host. The customer contact with a hosting provider to sell their server space under the client’s name. Another pack involves a carte-blanche approach where the client pay for some limited resources. Its pricing depends on the resources and space but costlier than shared hosting.